Hoodwinking the taxman is difficult. If your case is picked up for random scrutiny, any of the tricks that you or your financial advisor may have used to avoid tax will be easily detected, experts tell Sanjay Kumar Singh. Cases of salaried employees making false declarations to claim tax deductions and under-reporting their income have become quite common in recent times. In January, a case involving a large number of IT employees in Bengaluru came to light. As a result, the income tax department issued a warning recently to the salaried class against indulging in fraudulent practices. Salaried employees show a lot of ingenuity when it comes to claiming deductions falsely from their employers. To claim leave travel allowance, say tax experts, employees go to a travel Web site, book a ticket and take a print out. Once they have proof of having travelled, they cancel the ticket. Another creative practice is to use editing software to change the dates and other details on an old ticket. For availing HRA, the most common practice is to claim that the employee paid rent to his parents for living in their house, when none is paid. False rent receipts are created. Experts say that claiming HRA for rent paid to a parent is not illegal per se, but employees need to follow the proper norms when doing so. "The rent agreement should be registered, and you should pay by cheque to create documentary proof of payment. Your parent should also declare this rental income in his income-tax return," says Ashok Shah, partner, N A Shah Associates. Another practice is to donate by cheque to a non-government organisation, claim deduction under Section 80G, then take the money back from that organisation in cash while paying it some commission. Many employees work for one organisation, but also moonlight for another. Often, they don't report this. Capital gains from the markets are also not reported at all or fully. If you did not submit proof of investment under Section 80C to your employer, you can still avail of this deduction. "You can avail of it directly at the time of filing your tax return," says Archit Gupta, founder and CEO, Cleartax. The temptation to claim false deductions is higher when they are claimed directly at the time of filing return. Salaried employees who indulge in such practices often do so under the mistaken belief that the IT department only goes after bigger fish. Some believe there is safety in numbers: Since the department has millions of returns to process, theirs will escape attention. And in any case, some argue, the processing is automated, so how will any fraud be detected? Experts say that you could still get caught. "The main reason you should not indulge in fraudulent practices is that you can be caught very easily by the IT department. What if your case is selected for random scrutiny?" asks Naveen Wadhwa, deputy general manager, Taxmann.com. Suppose that to claim HRA you declare that you pay rent to your parent. If your case comes up for scrutiny, the assessing officer will ask you to show proof. You may show her/him the false rent receipt you have created. S/he may then demand your bank statement for proof of money transfer. If you claim that you paid in cash, s/he may ask for a rental agreement, or for your parents' IT return. If you are unable to produce all the required evidence, you will be caught. Sometimes, firms are assessed for tax deducted at source (TDS). During the assessment, the officer asks the firm to submit supporting documents that were considered while granting deductions to employees. If any of these documents are found to be bogus, not only is the employer penalised, a reassessment notice is issued to the employee as well. The annual information return (AIR) is another source through which tax officers detect evasion. This is a return that institutions like banks, NBFCs, mutual funds, housing registration authorities, etc file listing high-value transactions. "The IT department does a lot of data mining now, and its ability to use data to detect frauds will only get better with time," says Kuldip Kumar, partner and leader personal tax, PwC. If you are found guilty of under-reporting or misreporting your income, the consequences can be dire. "The penalty is 50 per cent of the tax due for underreporting of income, and it can go up to 200 per cent for misreporting. This penalty is over and above the interest liability which will be levied as applicable under Section 234B and 234C at 1 per cent per month," says Kumar. In case of willful attempt to evade tax, authorities also have the power to initiate prosecution proceedings under Section 276C, wherein a person can be imprisoned. Taxpayers sometimes indulge in fraudulent practices because they don't plan their tax saving from the start of the financial year. 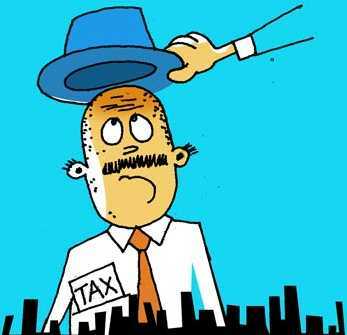 "Meet an accredited tax advisor at the beginning of the year and get proper guidance on how to save tax using all the available provisions," says Wadhwa.